If you’re reading this, you obviously value financial knowledge and creating a secure life for you and your family. If you have kids, then you want them to develop the same skills. The NYT bestseller book The Opposite of Spoiled explored the many modern ways to teach kids about money. One recommendation for allowances is to split it up into three jars: savings, giving, and spending. Regular, automatic savings. Let’s say you give them $10 a week that is automatically saved. (They don’t manually move money over every week, it just happens like a 401k plan.) Even with no interest, two and half months later, they’ll have a hundred bucks! Compound interest. Now show them how they can get interest on their interest. If they start with $100, don’t take any money out, don’t save a penny more, at 10% monthly interest they will still have $314 after 12 months of compounding. Compound interest + regular savings! If they start with $100, don’t take any money out, keep saving another $10 a week, at 10% monthly interest they will have $549 after a 12 months of compounding. This is starting to become serious money! 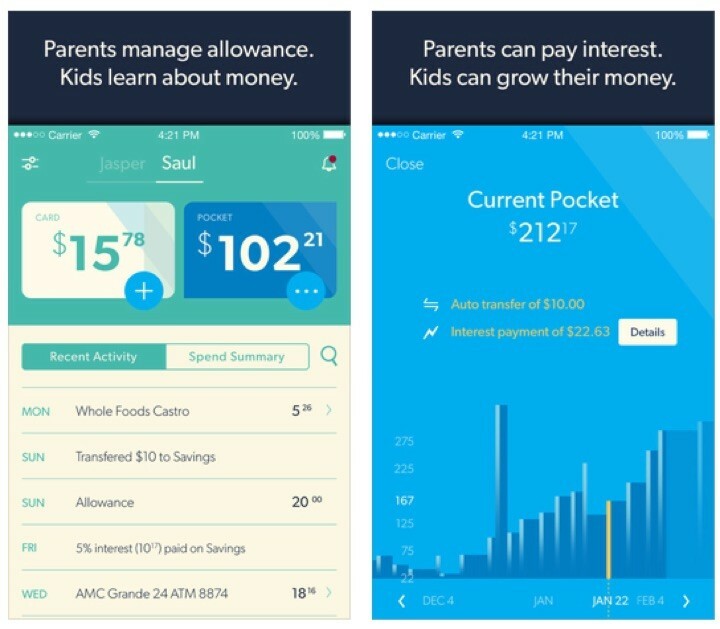 There are a growing number of “allowance apps” to cater to this market, but Nickel (iOS only, Android “not yet”) is one of the first services that I’ve seen implement this custom interest rate feature. Designed for kids age 8 and up, Nickel offers a reloadable debit card and a smartphone app for you and the kid. The parent can view all transactions and control things like allowance amount, one-time transfers, and interest rates. Finally, apps are cool, but let’s not forget the core values and character traits that lead to good behavior in general.